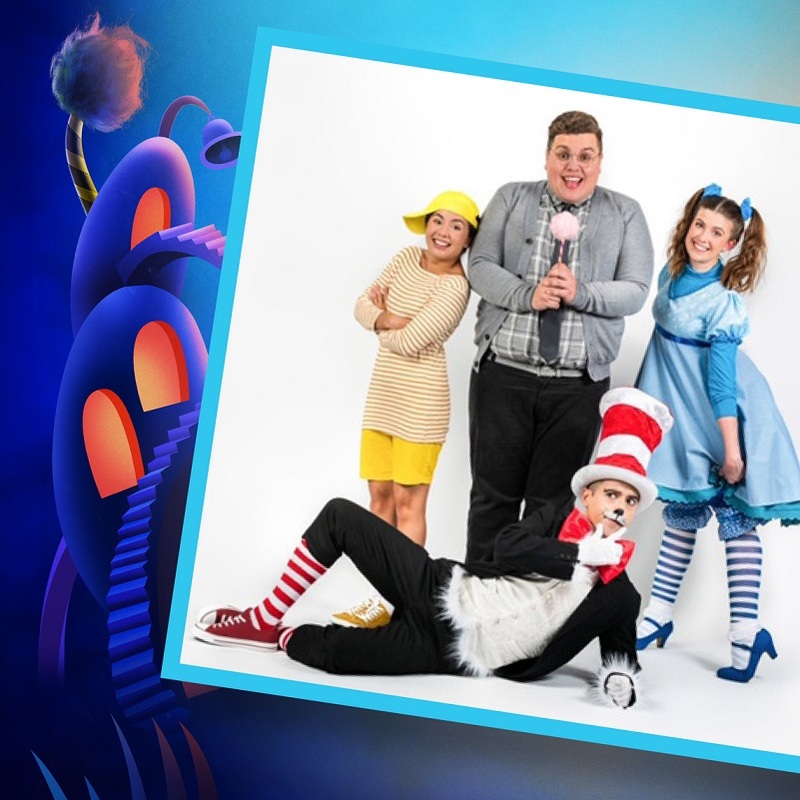 Brought to life by a hugely charismatic cast, Seussical the Musical is brimming with fun and excitement for all the family as the fantastical world of Dr. Seuss bursts onto the stage. Set to an electric score, this larger-than-life musical is a high-energy production for ‘thinkers’ of all ages. New pictures released give a first taste of this larger-than-life production. 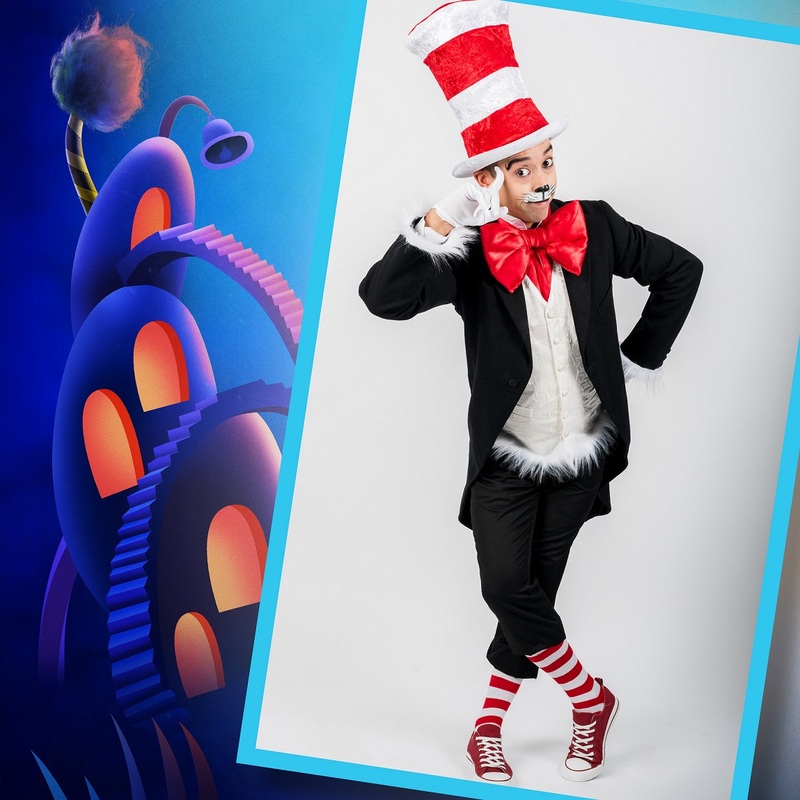 Coming to Southwark Playhouse from 22nd-29th November at 7:30pm, Marc Pickering (Boardwalk Empire, HBO; Les Misérables, Universal Pictures; Sleepy Hollow, Paramount Pictures) will star as the mischievous Cat in the Hat in Immersion Theatre͛s musical extravaganza. 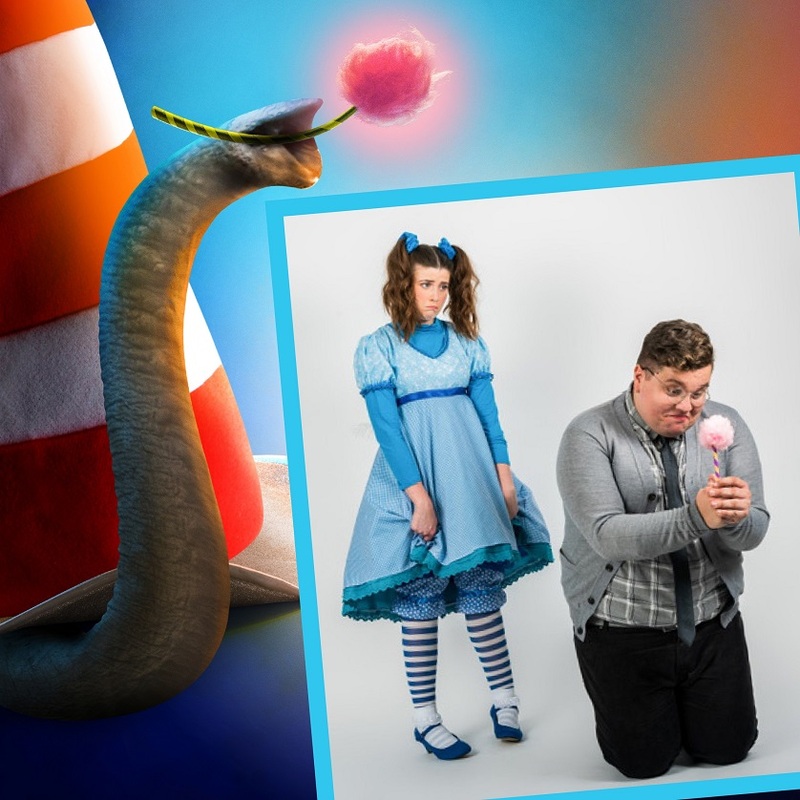 He is joined by Scott Paige (Eugenius, The Other Palace; The Addams Family, UK/Asia Tour; Chitty Chitty Bang Bang, UK Tour/West Yorkshire Playhouse) as the warm-hearted Horton the Elephant and Amy Perry (Bananaman, Southwark Playhouse, Thoroughly Modern Millie, Adelphi Theatre; Sweet Charity, Cadogan Hall) as the humble Gertrude McFuzz in this high-energy production for ͚thinkers͛ of all ages. Katie Paine (We Will Rock You, Dominion Theatre; Godspell, Lyric Theatre; Breaking Up Is Hard To Do, Gatehouse) will play the vivacious Mayzie La Bird alongside Ngozi Ugoh (The Book of Mormon, Prince of Wales Theatre; The Life, English Theatre Frankfurt; Avenue Q, Brookside Theatre) who will play Sour Kangaroo and Anna Barnes (Cats, Yvonne Arnaud Theatre; The Fix, Guilford School of Acting; Bullets Over Broadway, Guilford School of Acting) who plays Jojo, a ͚thinker͛ with a wild imagination. The cast is completed by Daisy Steere (42nd Street, Theatre Royal Drury Lane; Jackie The Musical, UK Tour; Legally Blonde, Aberystwyth Arts Centre), Adam Dawson (Spring Awakening, Hope Mill Theatre; Hair the Musical, The Vaults; West Side Story, Royal Shakespeare Company), Robbie Fell (Song, Pulse Films/BT; Cinderella, Malvern Festival Theatre; The Life, Performance Preparation Academy), Rhys Benjamin (Me and My Girl, The Urdang Academy; Bring It On, Pleasance Theatre; Is There Life After High School?, The Royal Academy of Music), Marianna Neofitou (Grease, Leicester Curve; Dusty: The Dusty Springfield Musical, Charing Cross Theatre; Chitty Chitty Bang Bang, London Palladium) and Sarah Spence (9 to 5 The Musical, Legally Blonde, The Producers – all whilst training at Performance Preparation Academy). Tickets are available from Southwark Playhouse Box Office on 020 7407 0234 or online at https://southwarkplayhouse.co.uk/. Tickets are priced £25 (Standard), £20 (Concessions) and £14 (Previews).